John Symon Asher “Jack” Bruce (14 May 1943 – 25 October 2014) was a Scottish musician and composer, known primarily as a member of the British rock trio Cream. In July 1966 Bruce, Eric Clapton and drummer Ginger Baker founded the power trio Cream, which gained international recognition playing blues-rock and jazz-inflected rock music. Bruce sang most of the lead vocals, with Clapton backing him up and eventually assuming some leads himself. With his Gibson EB-3 electric bass, Bruce became one of the most famous bassists in rock, winning musicians’ polls and influencing the next generation of bassists such as Sting, Geddy Lee and Jeff Berlin. Bruce co-wrote most of Cream’s single releases with lyricist Pete Brown, including the hits “Sunshine of Your Love”, “White Room”, and “I Feel Free”. Cream broke up in 1968. Bruce died, from liver disease, on 25 October 2014, in Suffolk, England, aged 71. His publicist Claire Singers said: “He died today at his home in Suffolk surrounded by his family.” He is survived by his wife, Margrit, as well as four children and a granddaughter. Raphael Ravenscroft (4 June 1954 – 19 October 2014), was a musician, composer and author. In January 1978, Scottish singer-musician Gerry Rafferty released his 1st solo material since 1972 and first material of any kind since the demise of Stealers Wheel in 1975. A then unheralded session musician, Ravenscroft was asked to play saxophone on the album City to City. 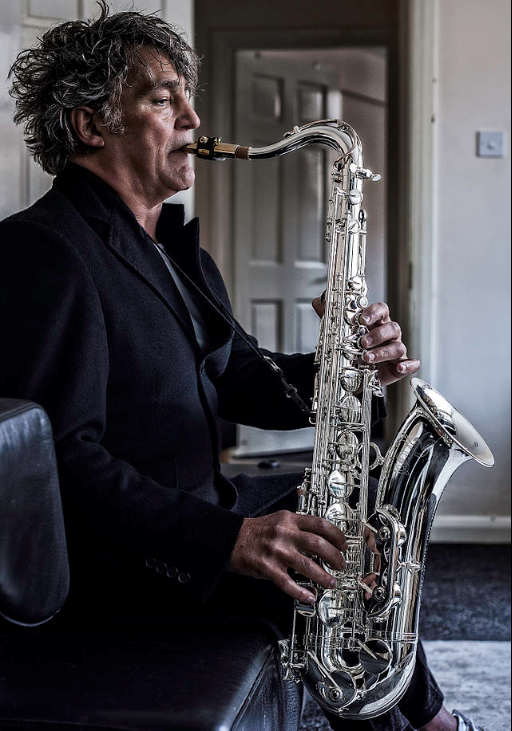 Ravenscroft’s contribution included the sax riff on the best known song from the album and of Rafferty’s career, “Baker Street”. The song was an international hit, charting at number 3 in the UK and number 2 in the USA. “Baker Street” was reported in 2010 as having received 5 million air plays worldwide to date. City to City reached number 1 in the US album charts and went platinum. In the UK the album reached number 6 and went gold. From his breakthrough with Baker Street he went on to perform with Pink Floyd (The Final Cut), Abba and Marvin Gaye. Other Ravenscroft performing credits include work with America, Maxine Nightingale, Daft Punk, Kim Carnes, Mike Oldfield, Chris Rea, Robert Plant, Brand X, Hazel O’Connor and Bonnie Tyler. In 1979, he released the solo album Her Father Didn’t Like Me, Anyway (CBS Portrait JR 35683). In 1983, Ravenscroft released the track “Maxine” which gained airplay, but performed poorly on the charts. His track “A Whole Lot of Something Going On” was sampled by producer Heavy D on the track “Feel It In The Air”, by Beanie Sigel. In 2010, Ravenscroft played on albums and on sessions with Duffy, Mary Hopkin and Jamie Hartman. In 2011-12, Ravenscroft contributed to the album Propeller by Grice. Ravenscroft died on 19 October 2014 at the Royal Devon and Exeter Hospital, aged 60, of a suspected heart attack. 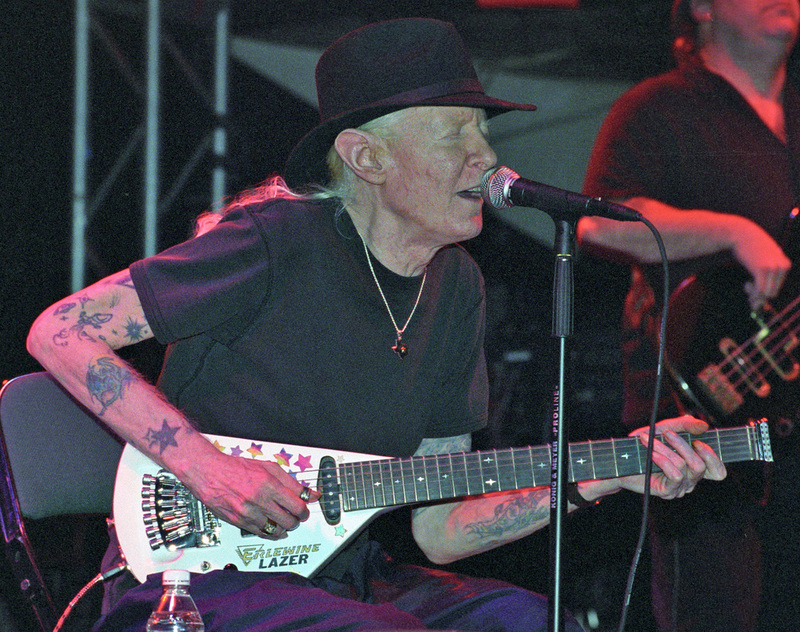 John Dawson Winter III (February 23, 1944 – July 16, 2014), known as Johnny Winter, was an American blues guitarist, singer, and producer. Best known for his high-energy blues-rock albums and live performances in the late 1960s and ’70s, Winter also produced three Grammy Award-winning albums for blues singer and guitarist Muddy Waters. 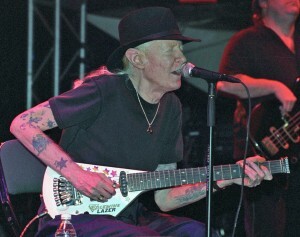 After his time with Waters, Winter recorded several Grammy-nominated blues albums. In 1988, he was inducted into the Blues Foundation Hall of Fame and in 2003, he was ranked 63rd in Rolling Stone magazine’s list of the “100 Greatest Guitarists of All Time”. Winter, along with his musician brother Edgar (born 1946), were nurtured at an early age by their parents in musical pursuits. Johnny and his brother, both of whom were born with albinism, began performing at an early age. When he was ten years old, Winter appeared on a local children’s show, playing ukulele and singing Everly Brothers songs with his brother. His recording career began at the age of fifteen, when his band Johnny and the Jammers released “School Day Blues” on a Houston record label. During this same period, he was able to see performances by classic blues artists such as Muddy Waters, B.B. King, and Bobby Bland. In the early days Winter would sometimes sit in with Roy Head and the Traits when they performed in the Beaumont, Texas area, and in 1967, Winter recorded a single with the Traits: “Tramp” backed with “Parchman Farm” (Universal Records 30496). In 1968, he released his first album The Progressive Blues Experiment, on Austin’s Sonobeat Records. Winter was professionally active until up to the time of his death in Zurich, Switzerland, on 16 July 2014. He died in his hotel two days after his last performance, at the Cahors Blues Festival in France on July 14. The cause of Winter’s death was not clear. He was scheduled to begin a United States tour beginning August 1, 2014 at the NYCB Theatre at Westbury in Westbury, New York. His newest album, Step Back (which features stars including Eric Clapton, ZZ Top rocker Billy Gibbons and Aerosmith’s Joe Perry), not yet released, is scheduled for release on September 2, 2014. 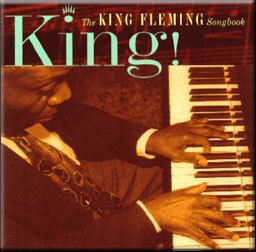 Walter "King" Fleming (May 4, 1922 – April 1, 2014) was an American jazz pianist and bandleader. He was born in Chicago, Illinois. A classmate of Sonny Cohn, after playing trombone in the McKinley High School band, Fleming went on to study at the Midwest College of Music. He had already led several informal bands before King Fleming and His Swing Band first performed in September 1942. When he was drafted into the U.S. Army in July 1943, the band continued performing under the leadership of other bandmembers until too many of its members had been called up for it to be viable. Discharged in 1945, Fleming started doing session work in Los Angeles and joined Johnnie Alston & His All Stars for recording dates backing Wynonie "Blues" Harris on Apollo. Johnny Alston and His Orchestra later signed for the Bihari Brothers' Modern label, and Fleming and Al "Cake" Wichard were joined by Addison Farmer. By mid-1946, Fleming had joined the Swing combo Oliver "King" Perry's Pied Pipers with Norman Bowden (trumpet); George "Happy" Johnson (trombone); Wesley Prince (bass) and Joe Harris (drums) before returning to Chicago to lead his own King Fleming's Four with Jay Peters (tenor sax), "Hog" Mason (bass), and Tommy Hill (drums) and getting a write-up in Down Beat for June 18, 1947. In 1950 he was a member of the Dallas Bartley Quartet, with Johnny Thompson (tenor sax) and Oliver Coleman (drums), and that summer he recorded as a session pianist for the vocal group, the Dozier Boys, at their recording session for Chess Records. Later that year he joined Oliver Coleman's Palmaires; the other members were Nelson Berry (tenor saxophone) and Sylvester Hickman (bass). In 1954 he finally recorded under his own name, on the Blue Lake label, with John Neely (tenor saxophone); Russell Williams (bass); Aubrie Jones (drums); Lorez Alexandria (vocals) and in 1955 for the Chess label. The Chess brothers invited him back the following year, again with vocalist Lorez Alexandria, to record "Stompin' at the Savoy". In 1957, his group backed Lorez Alexandria on her first two albums for the King label, and collaborated with Muhal Richard Abrams, who wrote arrangements for a King Fleming-led big band. Between 1960 and 1965, he recorded three piano trio albums for Argo and Cadet Records, which were Phil and Leonard Chess's jazz labels. He also appeared on two singles released locally by singer George Green. 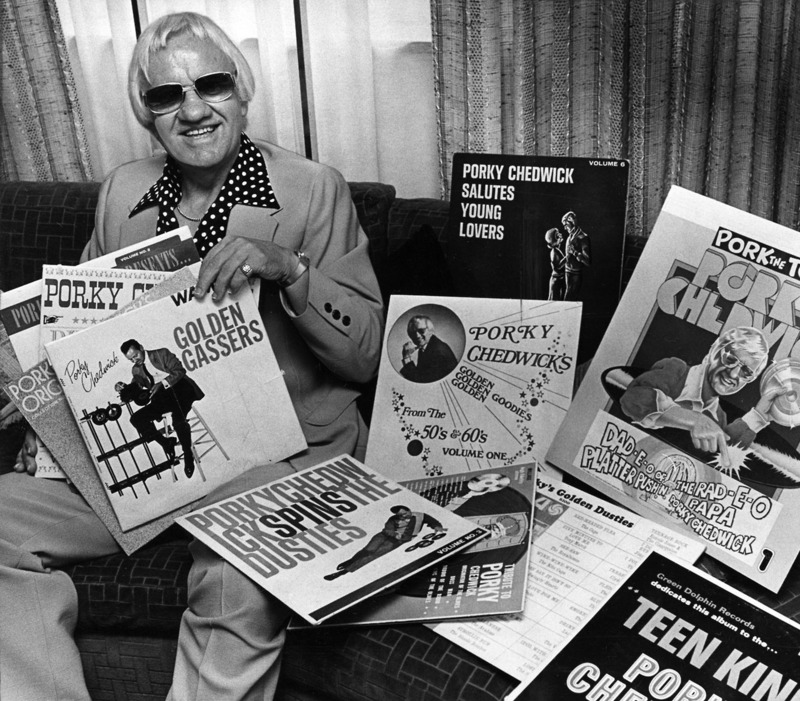 George "Porky" Chedwick (February 4, 1918 – March 2, 2014) was an American radio announcer known to generations in Pittsburgh, Pennsylvania as "The Daddio of the Raddio, " "The Platter Pushin' Papa, " "The Bossman," "Pork the Tork", and a host of other colorful nicknames. Chedwick was the first white DJ to present a racially diverse audience in a major eastern American city a steady diet of what were, in the summer of 1948, called "race records." The trail he blazed—some 3 years before the more famous Pennsylvania native, Alan Freed, called the music "rock and roll"--was a dual one. Chedwick's original playlist was composed of old R&B and gospel records that he had collected over the years, making him the world's first bona fide oldies DJ. 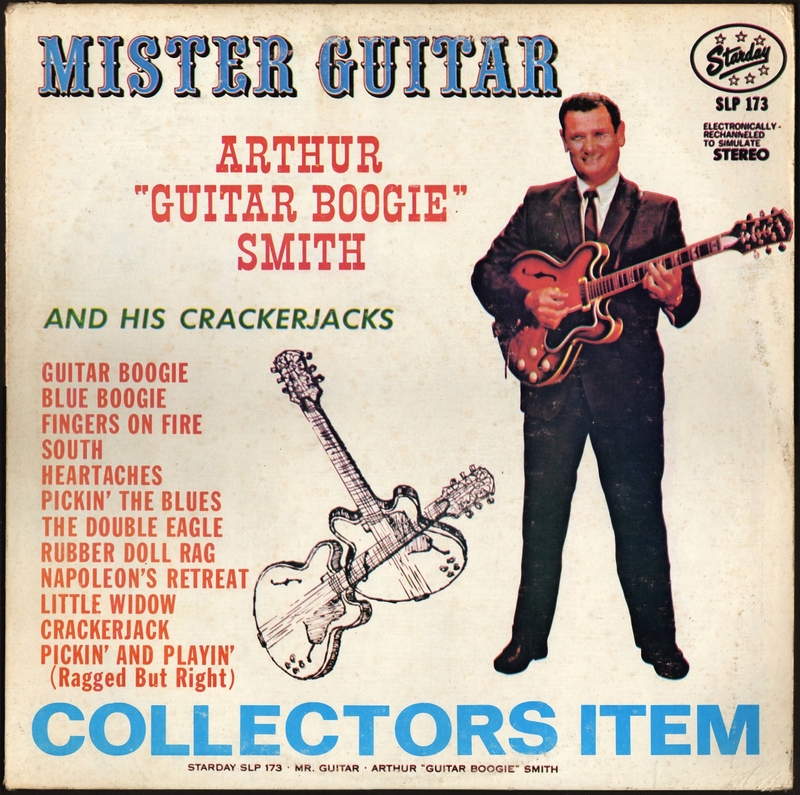 He called the records his "dusty discs," since he would literally have to blow the dust off the 78s before he could preview them at the record stores. Record stores had no demand for the records and would often just give them to Chedwick, or he'd rescue them from bargain bins with what little money he could scrape together. Years later, radio stations, record companies, and concert promoters would take notice and copy Porky's Chedwick's formula, creating the billion-dollar "oldies" rock and roll nostalgia industry which thrives still today. Porky Chedwick has been recognized on the floor of the United States Senate for his pioneering contributions to radio and rock and roll (and countless times around Pittsburgh, including a day-long 50th anniversary oldies concert called "Porkstock", in 1998 at Three Rivers Stadium) and another one in 1999. He was among a group of radio disc jockeys honored in the "Dedicated to the One I Love" exhibit at Cleveland, Ohio's Rock and Roll Hall of Fame and Museum, in 1996. He's the only Pittsburgh DJ to be recognized in the Rock and Roll Hall of Fame. At age 88, Chedwick celebrated his 58th anniversary on the air at Hall of Fame's Alan Freed Radio Studio on August 12, 2006.